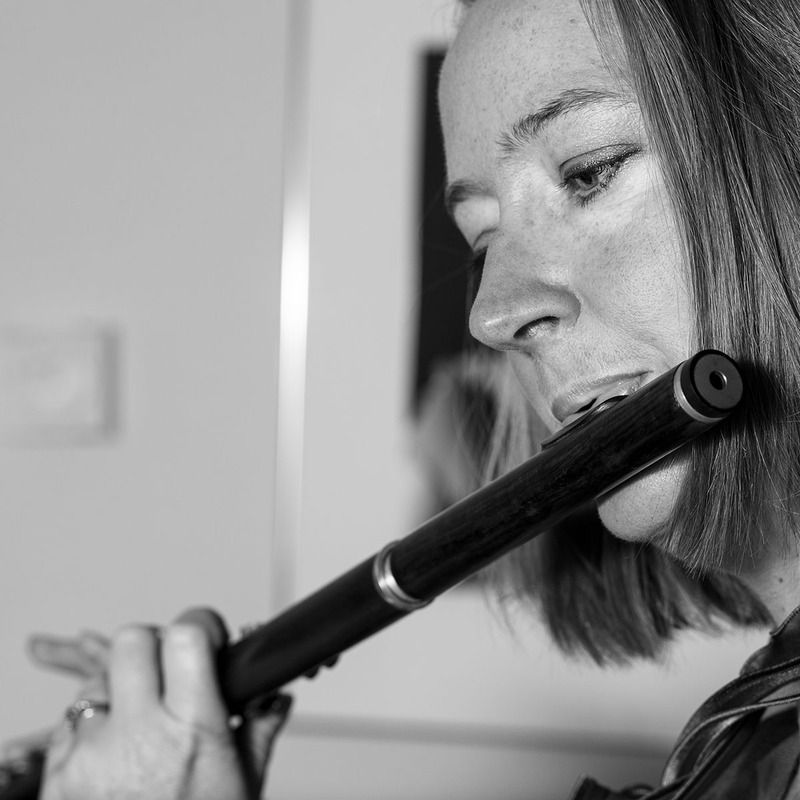 Develop all aspects of your flute playing; performance opportunities and masterclasses; meet new flautists and work on flute ensemble repertoire; improve your confidence in performing and try new ideas; be inspired. 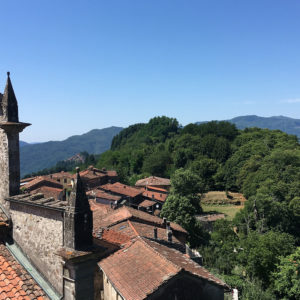 North of Lucca and Pisa, perched high on top of a Tuscan hill, you find the remote and ancient village of Tereglio. In every direction, there are stunning views of forested hillsides and deep gorges. 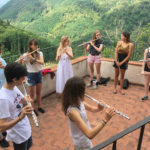 Young Artist Scholarship offers a free place on the course subsidised by supporters of Flutes in Tuscany, this funded place is designed to help those in full time education or on the point of launching their careers as a flautist. 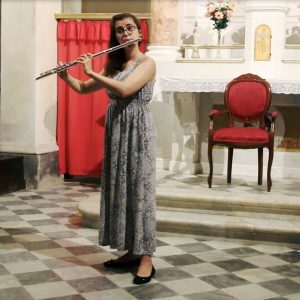 Elizabeth Walker set up Flutes in Tuscany to explore all aspects of flute playing, with inspiring tutors, in the breathtakingly beautiful surroundings of Tereglio. 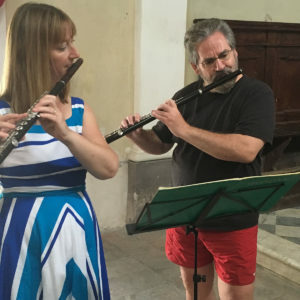 The charming hilltop village exudes calm and tranquillity, but for a week each summer, the villagers are happy to forgo peace and quiet while the streets echo to the sound of flute warm ups, rehearsals, lessons, ensembles and concerts. 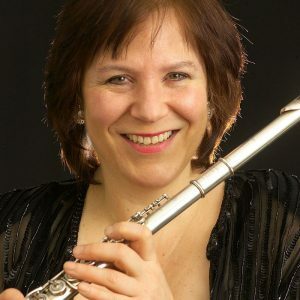 The course is deliberately kept small so that flautists, young and not quite so young, can work together throughout the week, following individually crafted timetables that include one-on-one tuition, workshops, master classes, ensembles and practice time. Everyone comes together daily for delicious, home produced meals provided by the villagers, using a wonderful array of locally sourced ingredients. 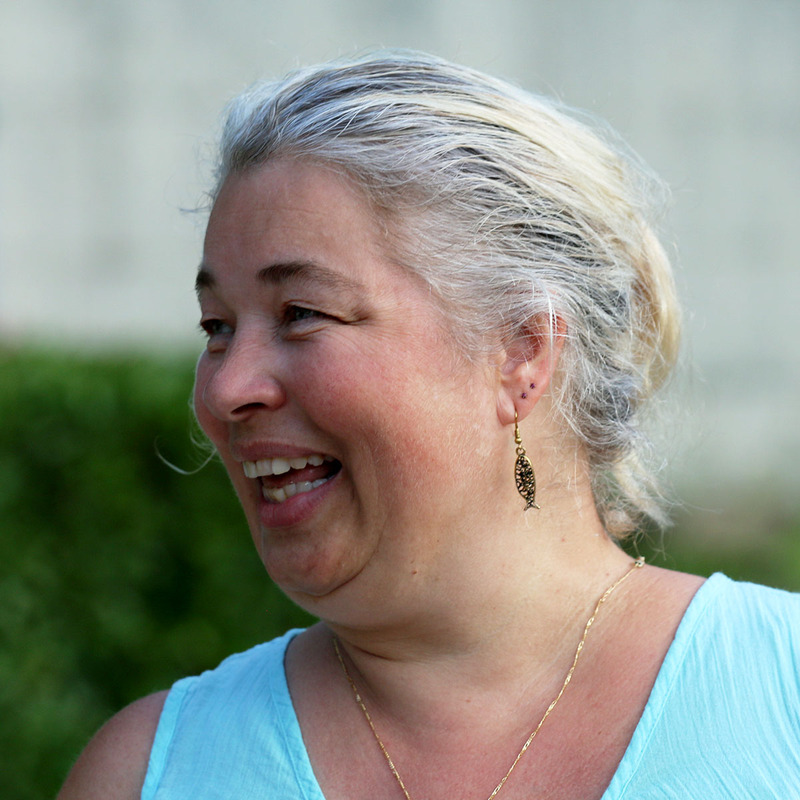 Elizabeth Walker and Sarah Murphy have worked together for thirty years! 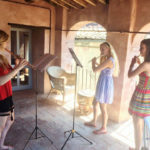 They bring their expertise and friendship to the course as they work with the naturally beautiful surroundings to enhance all aspects of flute playing, with a relaxed awareness of technique and musical awareness. 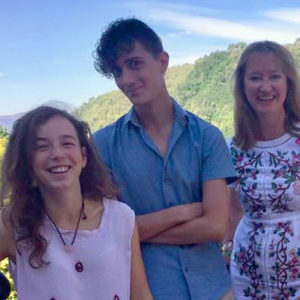 Each year, Elizabeth and Sarah invite a visiting tutor. 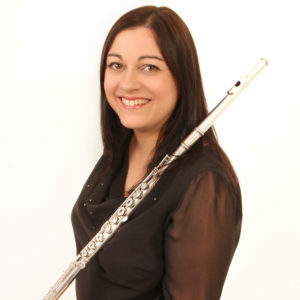 This year Flutes in Tuscany welcomes Philippa Davies who will be providing classes and inspiration at the beginning of the course and a concert for us on Tuesday 16th July. 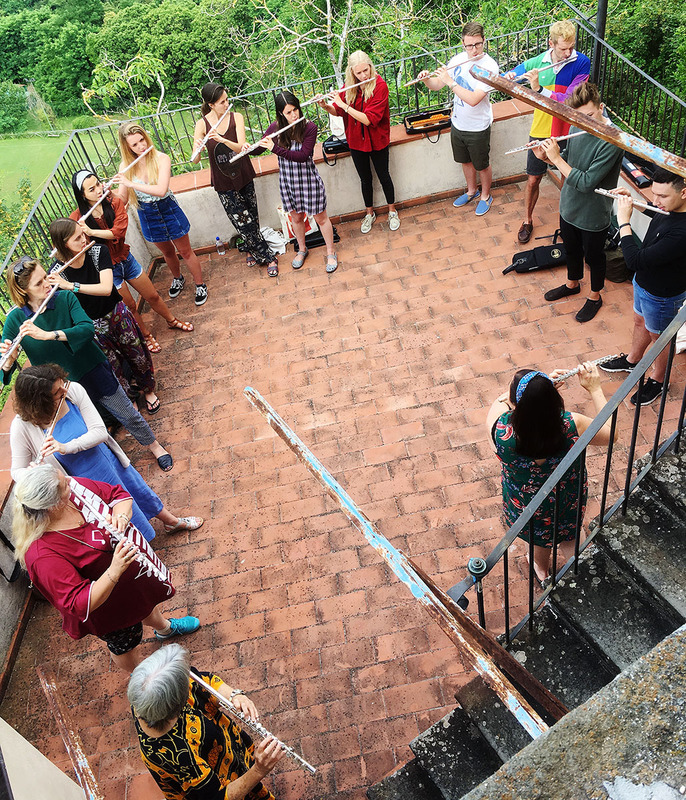 Flutes in Tuscany brings beautiful fluting and scenery into your life, the teachers are so caring and skilled, and the whole experience will fill you up as a musician and person. I had never played Bass before and I really enjoyed it. I was surprised at how slow it is at the bottom and I might have to think about that when I am writing any more arrangements. 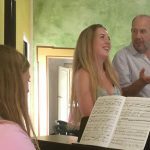 It has been such a wonderful time all together in Tereglio… The location was really inspiring for music… The thing that I’ve probably Enjoyed most is the companionship; you are all such wonderful persons. MORNINGS | group warm up outside on the balcony. Flute Ensembles taken by Sarah, Liz and Philippa (Alto and Bass flutes provided). EVENINGS | Supper in local restaurants in or within the vicinity of Tereglio followed by evening activities including concerts/film evening. 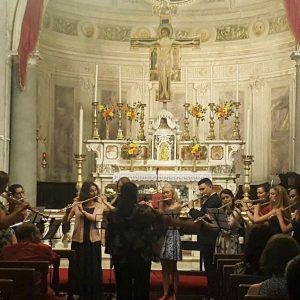 Saturday 20th is devoted to rehearsals for the final concert in the large Church of Saint Maria Assunta, in Tereglio.